The Internal(H2) ION-Pump is powered by the internal controller and the External(Vaccum) is run by a external controller. The external vaccum pump is havving a current spike every 6 days or so that I can't explain, suggestions anyone? How about a small leak and argon concentration building up? (/br) Fotnote is that Inner (H2) pump is operated at 5KV not 7KV as the documentation says. 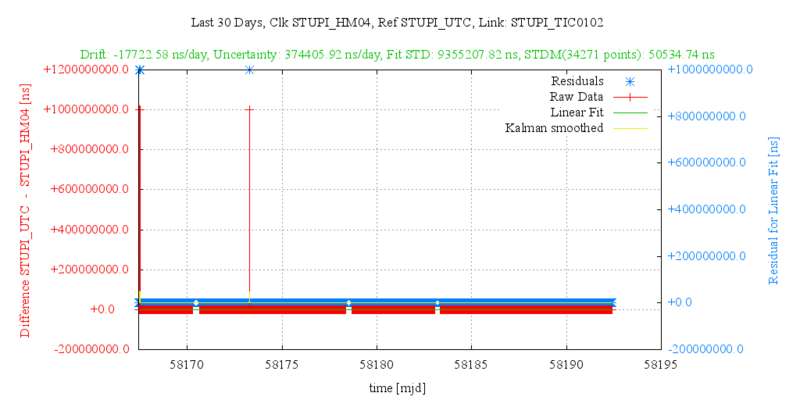 Seven days performance compared to UTC (Stupi). Remember this is a maser, so we have a second order drift that is our problem for timekeeping applications. A constant frequency error we can just subtract out. Some of the frequency drift is caused by the vacuum system still pumping out the physics package. As of Jan 2011 the maser ha been operating for a year and things are still improving, and there is that mysterious current spike in the outer vaccum pump. 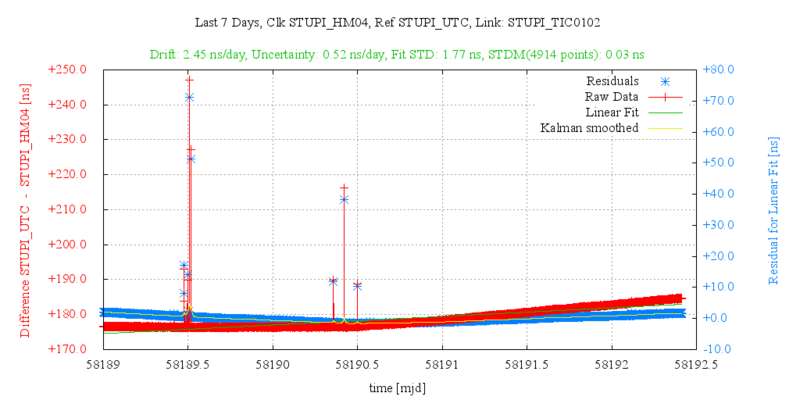 The IF Amplitude is more or less analog to the hydrigen pressure, but it's having unexplained jumps. The IF level changes also seems to be correlated to frequency changes. Graph shows all of 2012. Inner (H2) ION pump current. Outer (Vaccum) ION pump current. 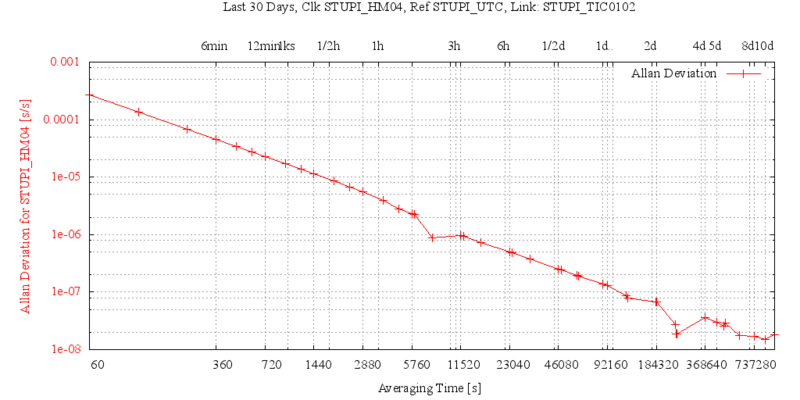 30 days of time compared to UTC(STUPI).